The Beijing Central Business District skyline. Bay Area real estate has long been a popular investment choice for Chinese nationals, but the landscape is quickly changing. To assess the current state of affairs, law firm Nixon Peabody hosted the San Francisco Business Times’ “Golden Bridge From China” event on Tuesday, May 2 in San Francisco, with Pacific Union acting as a co-sponsor. The event assembled a team of five experts on Chinese investment — several of who had just returned from the country. Pacific Union CEO Mark A. McLaughlin was a panel member and offered his thoughts on the state of Chinese real estate investment in the Bay Area. After dropping to an eight-year low at the end of last year, China’s currency is stabilizing as the government relaxes restrictions. Still, it can remain challenging for Chinese citizens to get money from China into the U.S. — unless it is already here or in Hong Kong. McLaughlin relayed an anecdote of a Chinese buyer who received nearly 20 wire transfers of $50,000 from separate family members in order make a real estate purchase. Chinese residential real estate buyers primarily use equity rather than loans to purchase homes. 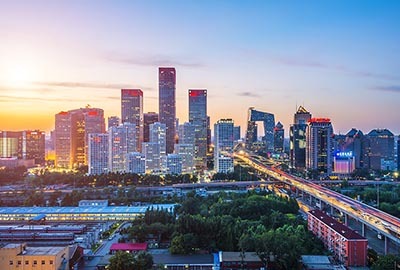 Chinese buyers still perceive U.S. real estate as a safe, sold investment, and markets such as San Francisco and Los Angeles are relative bargains compared with many cities in Asia. Silicon Valley remains a popular local destination for Chinese homebuyers who have or are planning to have children, thanks to Stanford University and the region’s entrepreneurial spirit. Chinese buyers have a different perspective from Americans when it comes to investing in real estate, taking a generational approach rather than a more specific time frame. There is solid support for President Donald Trump in China, as he is a businessman, though some feel he is unpredictable. Chinese President Xi Jinping’s recent visit with Trump in Florida is viewed as an important step to maintaining good relations between the two countries. The Trump administration’s proposal to extend the EB-5 visa program for investors until later this year has helped to alleviate concerns about immigrating to the U.S. Chinese real estate investors remain more concerned with difficulties moving money into the U.S.
As Pacific Union Chief Economist Selma Hepp explained in a recent analysis, the implications of the administration’s one-page proposed tax-policy changes are still unclear at the current time. Some Chinese investors are waiting to see what plays out before making decisions.